How was your summer? Have you been to somewhere for a holiday? Hope you enjoyed it no matter where you were. I also traveled to Anhui Province to see my brother and his family. Visited famous Huangshan (aka Yellow Mountain) and two ancient villages nearby, which are not far from where my brother lives. They are all very famous and beautiful places in China. 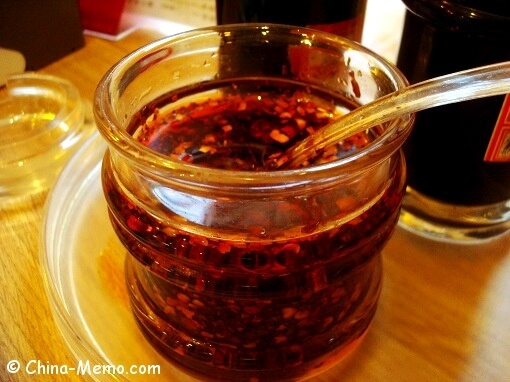 The food from Anhui is referred as Hui style food in China. I have tasted some dishes, not spicy or salty as Hunan food, but pretty nice too. I will share more in the future posts. Our family cooking for Chinese homemade chili oil. We make it by using red chili flakes, black bean paste and oil, a must-have ingredient in our family daily cooking and dining. 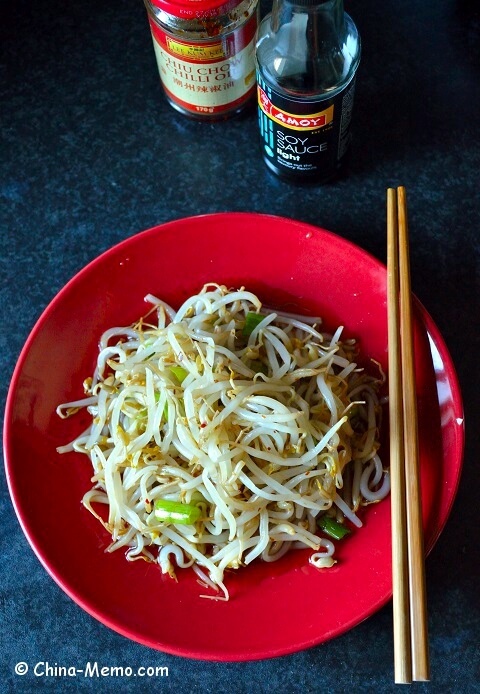 This is a very easy Chinese food recipe for Sichuan style bean sprout salad, one of my favorite salad dish in the summer. Simple, healthy and tasty. I uploaded a cooking video for this recipe. 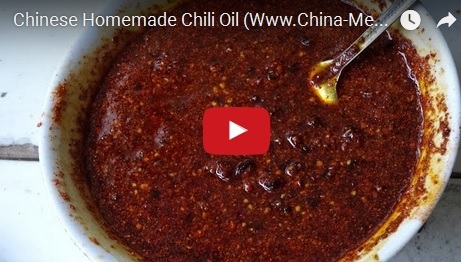 You can click the picture below or the link to watch video for Chinese Homemade Chili Oil on Youtube. 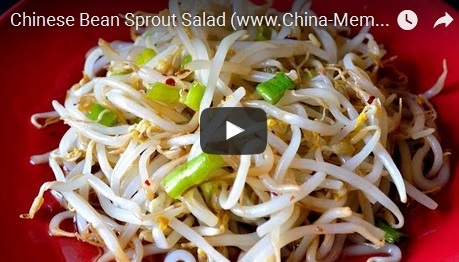 Click the picture or the link to watch video for Chinese Bean Sprout Salad on Youtube.